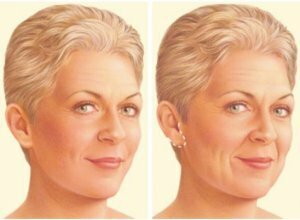 Home › Blog›Will I have scars after my facelift? Will I have scars after my facelift? Facelift Poland is very popular amongst woman after their 50s and 60s. Women decide to perform surgery to look younger and prettier and more attractive. Any plastic surgery, face lift, breast lift, liposuction, are likely to leave the patient with the scar. Many patients are not aware that plastic surgery may leave scars. It is crucial to understand that every surgery leaves scars, but there are many tips, advice to reduce and minimize scars. Let’s be clear, of course, there is no 100% guarantee that you will have permanent scars after facelift. There is no proven method to make the scar disappear completely., but there are proven methods regarding better healing. Are the facelift scars visible? Facelift incisions depend on the surgery type. We may distinguish full facelift surgery, mid facelift surgery, lower facelift surgery and mini facelift surgery. All of these might be combined with the neck lift. For a traditional full facelift Poland incision starts from the hairline, are located at the temples, and then surgeon continues them around the ear and the incision ends in the lower scalp. Temples, back of the ears, lower scalp areas are often covered by patients hair. Smaller and less invasive procedure in comparison to full face lift is a mini facelift. For a mini face lift, Poland surgeon performs incision around the lower part of the ear. With mini facelift, there are no incisors in temples area. We can promise you that surgeon does his best to make the scars as little visible as it is possible. We are aware that patients after surgery would like to look prettier, no one wants to see search especially on the face. Typically 75% of scars and incision did while safe facelift procedure is hidden, as they facelift scars are behind ear or on patients hairline. Another 25% which are not hidden, normally are hard to notice. Scars are visible from the short distance. What is more, scars located on the face or, ear fold are easy to hide and cover by makeup. The first stage of scar healing is the Inflammatory stage, which lasts only 2 – 3 days. 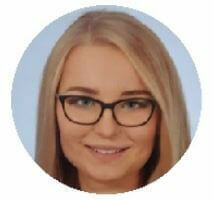 In that time incisors are read and inflamed, new cells and healing tissue are produced during first days after cheap facelift surgery Poland. The nest stage includes forming skin cells, which is called fibroblasts. During that stage, tiny blood vessels may happen. The last stage, known as remodeling stage, comes when scar gets pale. Within time passionate, scar gets thinner and thinner, brighter, smooth and almost not visible. This process lasts form four weeks to one year. Fresh fruit and vegetables will make you feel better and will make you heal faster and more effective. Cut down carbs, like pasta, white bread, tomatoes. Concentrate on home prepared smoothies, fresh juices. Be careful with juices from the shop, often they contain plenty of sugar! Drink at least 2 liters of mineral water. Limit coffee, tea, alcohol. Try some herbal teas if you do not like drinking pure/filtered water. For sure fit diet will shorten facelift scars healing time. Body massage removes stress and stiffness from our body and mind. Only a few people know that it helps to move lymphatic system, helps to regenerate body tissue, removes swelling. You may try massage your scars to minimize facelift scars, there are some proven techniques on youtube. Once your scar is fully healed you may try chemical microdermabrasion, which is peeling. It will remove scar tissue, which will lead to new cells creation, so your scars would be brighter and less visible. What is more, microdermabrasion will make your face fresher and younger. In case you have any acne scars, any spots, they might be removed while chemical peel procedure. Feel free to send us your face photos to receive personal surgery plan and final quotation. Ask for our all-inclusive packages in case you want us to cover your accommodation and staying in Poland. We are happy to announce you that our prices for facelift surgery are very cheap and affordable. Beauty Poland offers cheap facelift surgery from 1999 GBP! Mini face lif is even cheaper, its price starts from 1499 GBP. Contact us to check whether you need full facelift or some smaller procedures. 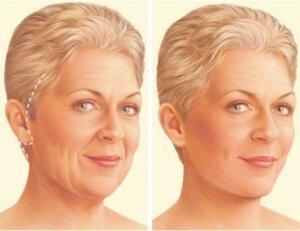 Are the facelift results permanent?